There always seems to be construction going on around Vientiane. Even when people have finished building their houses, they rip out a wall to make a porch or an open air kitchen. The people next to my office just tore down a dilapidated building and are putting something else up. The bricks, which are made from local clay, are wood fired and are interesting structures when stacked up. This is my contribution for ABC Wednesday, a bit late this week! PS After looking at Photodito's entry, I realized that a few banana shots would go down well. The fruit that we buy in SE Asia is amazing compared to the bland relatives in US or Europe. 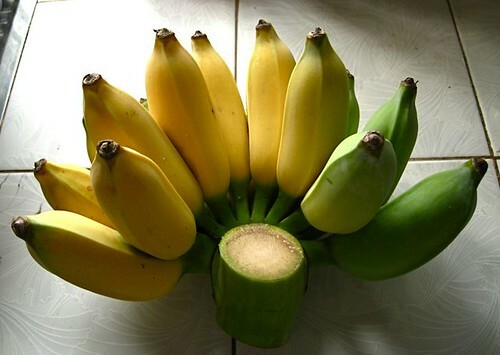 My landlady gave me these bananas, freshly cut off the tree. 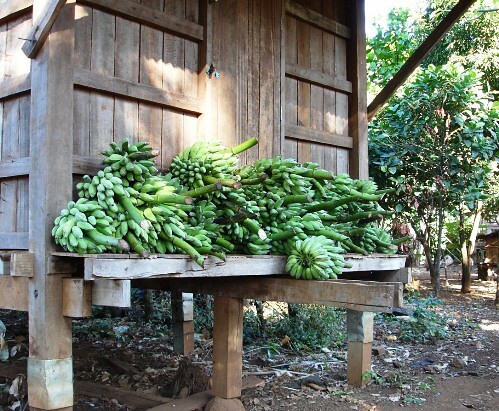 The soil in southern Laos is excellent for growing delicious fruit, so the bananas are transported all over the region. 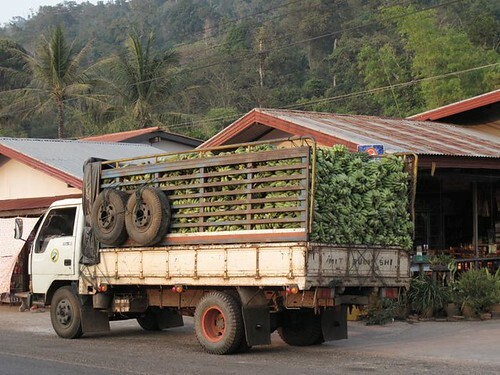 These bananas are going to Vientiane. 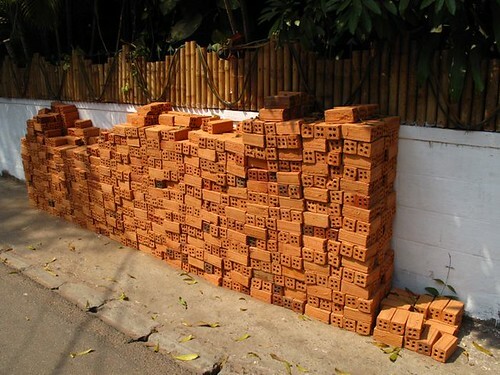 Your B for bricks photo is Great. Loved the bananas and the loaded truck too ;) Thank's for the visit! I did not realise that bananas grew in Laos .. we learn something new every day when we are Blogging ! Yummy fresh bananas are so much superior to anything bought back home. Great photos! I like the look of the bricks...and the color.Love the banana info ...they do look different than ours!